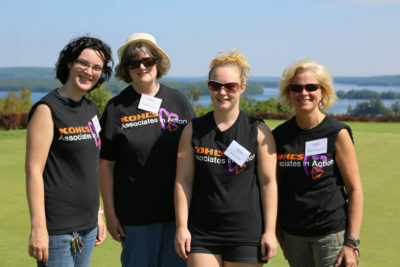 In addition to Bigs and School-Based Coordinators, we’re grateful to have volunteers support our Bowl for Kids’ Sake and Golf Fore Kids’ Sake events held in four regions in Maine! Community volunteers assist in everything from recruiting teams and collecting prizes to volunteering on the day of the events. We also partner with the University of Maine at Augusta and University College in Rockland to provide internship volunteer experiences for college students, and have provided community-service and job-skill training hours to local high school students.